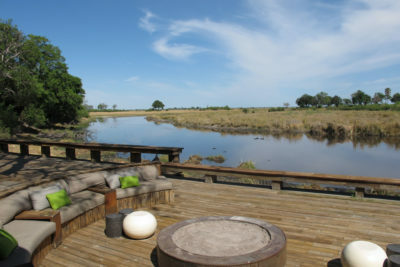 The Linyanti region lies to the north-east of the Okavango Delta were the Kwando and Linyanti rivers meet at right angles, forming a triangular swamp. 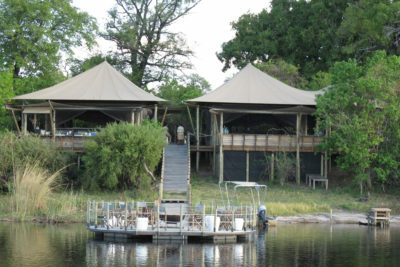 The area’s relative remoteness makes it a favoured safari destination among the cognoscenti. The wildlife is spectacular and particularly famous for its enormous herds of elephant and buffalo which move down to the Linyanti area at the start of the winter months and only move back inland once the summer rains arrive in November. 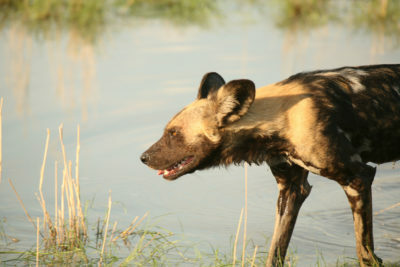 Linyanti is also one of the best wild dog areas in Africa. The dogs start denning anytime from June and can easily be found for three to four months afterwards as they hunt from their den. An abundance of cat species also frequent this area, and the rich bird life can best be seen between October and January. However, the beautiful carmine bee-eaters are most abundant between July and November when they congregate around their nest holes.